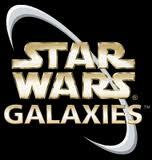 Sony Online Entertainment and LucasArts announced to day that Star Wars Galaxies will be shutting down its services for the MMO and trading card game after December 15, 2011. “The shutdown of SWG is a very difficult decision, but SOE and LucasArts have mutually agreed that the end of 2011 is the appropriate time to end the game,” reads the statement at starwarsgalaxies.station.com. September 15th is the last day customers will be able to buy the game or the trading cards. September 15th is also the last day to start new subscriptions or reactivate old accounts. On December 15th, all services will be turned off. Read the full statement here. Official SWTOR forums discussion here.